Respected icons of the game such as Jack Nicklaus and Hale Irwin have said more than once the problem with golf is the ball goes too far. Maybe by taking a look at the facts we can sweep away the fuzziness concerning golf ball distance because if we don’t, sure as heck, the fuzzy thinking will eventually prevail. First, this controversy over technological advancement is not new. It was essentially the same in the nineteen century and rears its head with every major advancement in balls and clubs. If you have some time, look up the evolution of the feathery ball to the gutta percha and then to the rubber-core ball or the story of the Schenectady center-shafted mallet putter being outlawed after Walter Travis used one to win the British Amateur. The cry was all the fine old courses would be made obsolete because they were too short and no longer challenging or simply improvements in equipment meant the game was becoming too easy. Sound familiar? Today the distance the golf ball goes is due to vastly improved launch conditions. This began with the introduction of metalwoods and then the development of graphite shafts allowing an increase in size of driver club heads. When titanium heads were introduced makers were able to almost double driver clubhead size again and driver shafts could be made much longer. All of these plus an immense improvement in ball aerodynamics added significant distance with all clubs. Professionals, “the ones fuzzy thinkers believe hit the ball too far,” have also benefitted from intensive computer-aided instruction, better physical training and the simple fact a large number of them are taller and bigger than in the past. Improved equipment and better agronomy have resulted in courses, especially on Tour, playing firmer and faster. Plus we must recognize the desire of operators to have the longest, toughest layout so they can boast of the difficulty for professionals rather than the playability for recreational golfers. The number of golf courses is steadily decreasing so overall use of the land is not an issue. 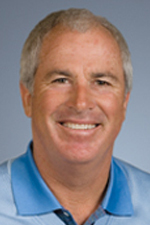 It is true some “fine old courses” may not have the land to be stretched in order to accommodate the modern professionals but that’s OK. For the average player not every course needs to be like this year’s US Open venue Erin Hills and have the capability to be played to over 8,000 yards. However, the fact is in 2017 the average driving distance on the PGA Tour is 291.20 yards, an increase of about one yard in the preceding ten years so there has been no “distance explosion” in more than a decade. For recreational players titanium-headed-graphite-shafted drivers and solid-core-low-spinning urethane cover balls have not produced anywhere near the gains in yardage achieved by professionals. Technology has not caused golf handicaps to plummet and the typical male golfer still isn’t hitting the ball over 200 yards–if that. The rulers of our game don’t seem to understand the problem in terms of the average golfer who occasionally makes a par and buys a celebratory beer when he makes a birdie. Additionally the USGA continues with the idea the ball goes should be reduced while telling weekend warriors to play from a shorter tee set. That’s illogical and a nonstarter. Of course the culprit most often cited is the Titleist Pro V1 which debuted in the fall 2000 and at once became the most played ball on Tour. Every manufacturer now makes similar balls that are low spinning with urethane covers and solid cores. The PGA Tour is in the entertainment business and the business model should be what its customers, i.e., golf fans, want. There is no question we want to see birdies and eagles and drivable par-4s not to mention DJ smoking one 340. In 2007 the scoring average on Tour was 71.34 and this season it is 72.00. In fact going back 20 years the average was 71.77 showing courses aren’t getting easier despite what some would like you to believe. As Frank Thomas former technical director of the USGA and current golf industry consultant has often said, driving distance has gone as far as it can go because the physics involved are maxed out. Or put another way, you can’t argue with Mother Nature. Finally, part of the fuzzy thinking can be laid at the doorstep of the media because it’s easy to write that a well-known player, ex-player or some administrator is decrying the state of the game. 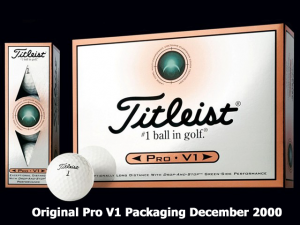 One headline trumpeted “Great Balls of Fire!” referring to today’s low-spin golf balls. This is a cheap shot displaying a lack of knowledge not to mention an abuse of journalistic standards. The inescapable conclusion–there’s no horrific problem with the distance the golf ball travels. That’s just plain old fuzzy thinking. And the solution is easy. Do nothing. The crisis in golf technology or golf ball distance is only in the minds of fuzzy thinkers.